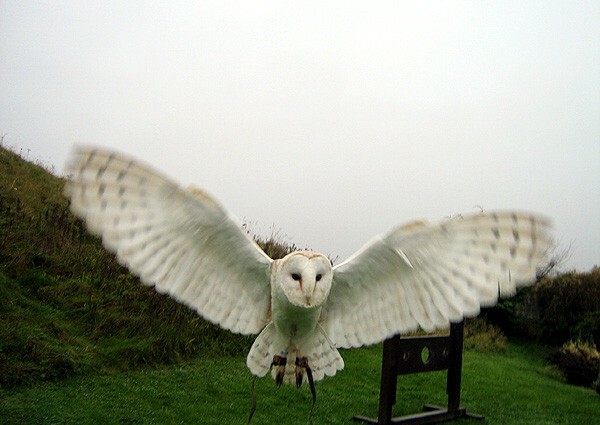 There are a number of owls that are native to the British Isles. 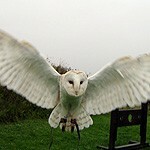 The species include Little Owls, Tawny Owls, Barn Owls, Long-eared Owls, Short-eared Owls and Snowy Owls. European Eagle Owls were once native however they are no longer classed as a British bird due to a period of absence following their persecution. Barn Owls are certainly one of the most striking and beautiful birds in the world and are found on all continents except Antarctica. In the UK, Barn Owls usually nest in disused wooden barns however they may also use church towers, hollow tree's and cliff ledges. Barn Owls are dedicated parents and can successfully rear up to 6 youngsters at a time. Their diet consists of small rodents and a family of Barn Owls may catch up to 5,000 voles during the summer months. They have a special design of feathers to enable silent flight when hunting. Their eyesight is excellent and they are one of the few owls that are able to see in complete darkness. These owls also have excellent hearing and are capable of sensing the movement of a mouse at a distance of 30 feet. Their ears are asymmetric (one ear is higher and further back than the other) to allow the sound of prey to be located with pinpoint accuracy. Edward Lear's poem "The Owl and the Pussycat", first published in 1871, is a popular reading at many wedding services. The full version is shown below with Edward Lear's original illustations.